Skin and eyelid inflammation affects millions of Americans every year. Over 85% of skin and eyelid inflammation patients also suffer from inflammatory ocular conditions1. Lumenis invites you to think outside the eye and offer your patients a solution to their skin inflammation and skin related problems with M22™. 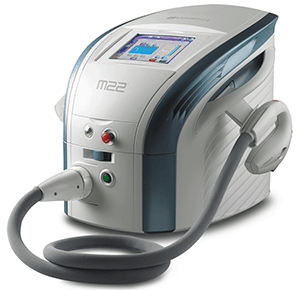 M22™ combines Intense Pulsed Light (IPL) with unique Optimal Pulse Technology (OPT™), and is FDA cleared for 20 different skin indications, including rosacea treatment and other skin inflammatory conditions2. Lumenis offers you to give your patients the comprehensive solution for the anterior segment. 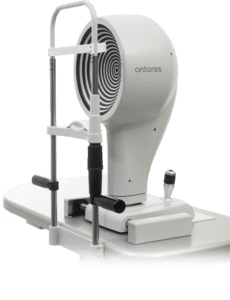 The Antares for advanced corneal topography, and comprehensive dry eye diagnosis based on meibography and NIBUT. M22 Optima™ IPL for treating skin and eyelid inflammation, that in many cases are the root cause of ocular surface problems. We invite you to read more about the M22 and Antares below, and sign up for a free M22 demo at your clinic. Inflammatory skin diseases are characterized by the formation of vascular abnormalities, which release inflammatory agents. When occurring in proximity to the eyes, these mediators propagate via the orbital vasculature to the eyelids, often resulting in inflammation of the eyelids that may trigger ocular complications. IPL is an excellent technology for treating vascular skin lesions. IPL is selectively absorbed in the hemoglobin of abnormal blood vessels, and destroys them by thrombosis. A major source of inflammation threatening the eyelids is then removed. 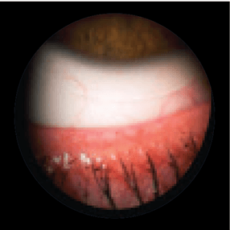 Expand your dry eye practice and benefit from comprehensive advanced corneal analysis. 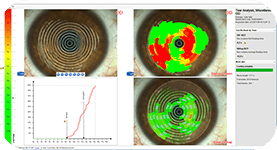 Antares; Lumenis state of the art corneal topographer with advanced tear-film analysis featuring NIBUT analysis, MGD lipid layer grading, infrared meibography, pupillography and contact lenses fitting. All-in-one solution, user friendly, with complete patients data history reports evolution. 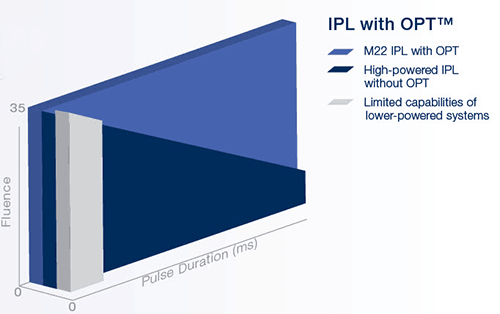 OPT is the latest IPL (Intense Pulsed Light) technology in the market, unique to Lumenis M22. OPT controls pulse shape by equalizing energy distribution over the entire pulse or sequential pulses – for safer, reproducible results. Caution: Federal (US) law restricts Lumenis devices to sale by or on the order of a licensed practitioner. 1. 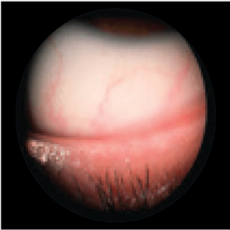 Viso E, Millán AC, and Rodríguez-Ares MT, Rosacea-associated meibomian gland dysfunction – an epidemiological perspective, Eur Ophthalmol Rev, 2014; 8(1):13-16. 2. Weinkle AP, Doktor V, Emer J., Update on the Management of Rosacea, Clin Cosmet Investig Dermatol, 2015; 8:159-77.